Lionfish, Gracefully Floating Over A Coral Reef. Description: Diving in the Red sea near Egypt. 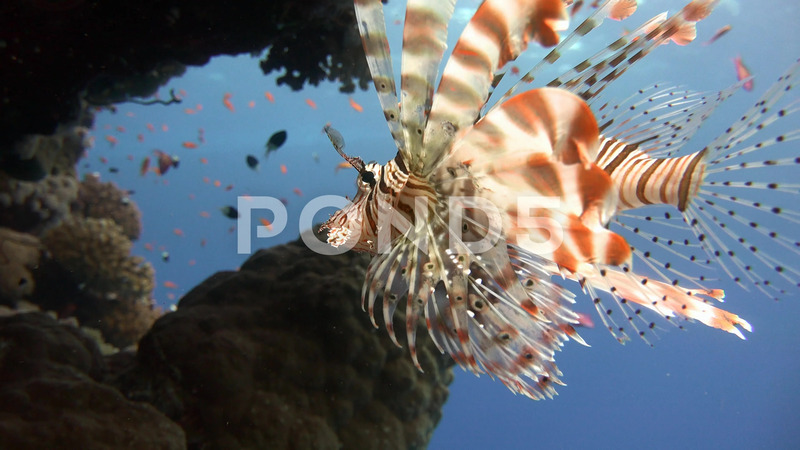 Lionfish, gracefully floating over a coral reef.